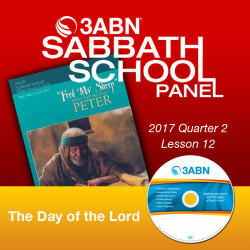 2017 Q2 - Lesson 12: "The Day of the Lord"
In ages past, people who didn’t believe in God were seen as untrustworthy. Why? The idea was simple: if they didn’t believe in God, then they didn’t believe in any future judgment in which they would have to answer before Him for their deeds. Without this incentive, people would have a greater tendency to do wrong. Of course, many people don’t need the fear of a future judgment in order to do right. But at the same time, the prospect of answering to God could certainly help motivate correct behavior. Peter knew that we are all sinners, and thus, with such prospects before us, he asks: “What manner of persons ought you to be in holy conduct and godliness?”.